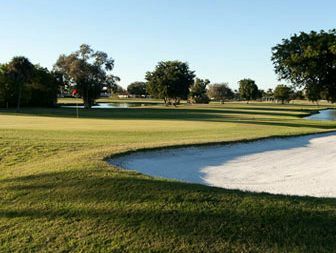 CORAL SPRINGS, Fla. – Olin Browne Jr. from Hobe Sound, FL backed up 65 with 64 for a 11-under par total of 129 to win 2019 Major I at the Country Club of Coral Springs. Eric Dietrich and Jamie Sindelar made runs on the back nine to put pressure on Browne Jr. but he was unflappable. He was never in serious danger of a bogey on the final nine holes. Sindelar birdied the final hole to get within 2 shots but that would be the closest it got. In 36 holes, Browne made 12 birdies and only one bogey, at the par-4 13th hole Tuesday, and earned $10,000 from the $45,100 purse and an additional $450 from an optional bonus pool. He qualified at Weston Hills CC last week for the Web.com Tour event next week, Feb. 7-10, in Panama City, Panama. It was the 10th MLGT win for the son of U.S. Senior Open champion Olin Browne Sr.
Young Sindelar, the son of Joey Sindelar, a winner on both the PGA and Champions tours, had 13 birdies and four bogeys, collecting $4,000 as the runnerup among 84 starters in the first Major of the MLGT’s 16th season. He finished the final round strong with birdies on two of his final three holes. Jamie has 18 wins on the Stuart-based mini-tour. In a second day shootout among players who scored 72 or higher Monday, Max Buckley of Rye, NY, was the only player to break par. He posted four-under 66 with an eagle at the par-4 first hole, four birdies and two bogeys, earning $183. A big thank you to the Country Club of Coral Springs and its members for hosting this event. 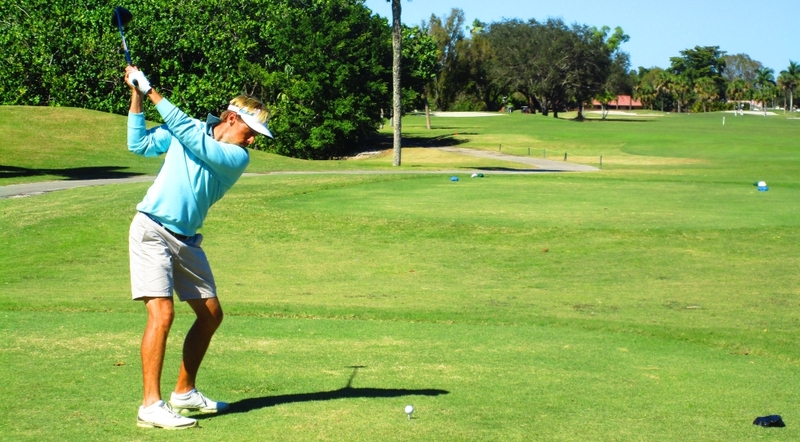 CORAL SPRINGS, Fla. - David Sanders, Olin Browne Jr, Jamie Sindelar and Hugo Bernard are dead locked after day one of 2019 Major I with a score of 5-under par 70. 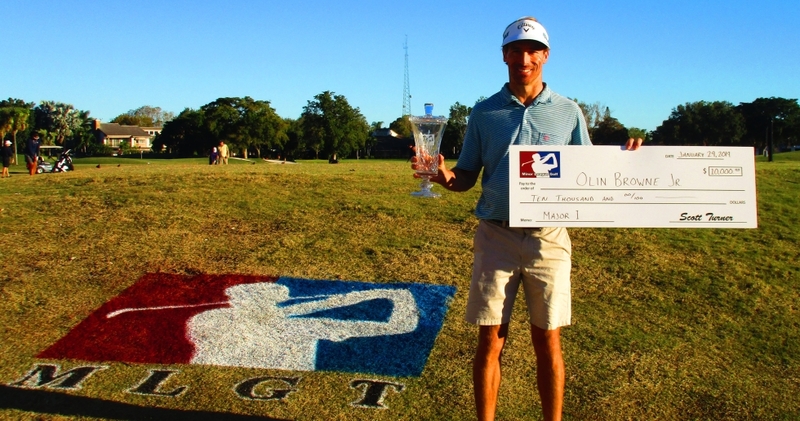 All four men have held the MLGT big check after winning one of the Tour's big events. 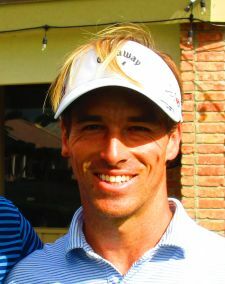 Sindelar and Bernard a Major, Browne Jr a Qualifying School Contest and Sanders the West Palm Beach City Championship. They would all like to add another big check to their resume Tuesday afternoon. 18 of the 84 players broke par on day one in difficult cold blistery conditions. There were 3 skins out on day one worth $226.67. Click on any of the $ links under the skins/total column to view the skins results. There is an optional $50 2nd day shootout for those players at 72 and higher after day 1. You must register online before the first tee time Tuesday morning. 22 players chose to enter an optional $100 bonus pool creating a prize pool of $2,200. The top 33% and ties will earn a check. 40% of the field earns a check. Start on #10. $10,000 1st place at 72 Players. $6,000 1st place at 50 Players. $1,000 added to the purse by the MLGT.